Dhaka, 30 August, Abnews: The 4th Summit of the Bay of Bengal Initiative for Multi-Sectoral Technical and Economic Cooperation (Bimstec) began on Thursday with the theme ‘Towards Peaceful, Prosperous and Sustainable Bay of Bengal Region’. Leaders of its seven member countries, including Bangladesh Prime Minister Sheikh Hasina, Indian Prime Minister Narendra Modi, Chief Adviser (head of interim government) of Bhutan Dasho Tshering Wangchuk, Sri Lankan President Maithripala Sirisena, Myanmar President Win Myint and Thai Prime Minister Prayut Chan-o-cha are representing their respective countries in the two-day summit. Current Bimstec Chairperson and Nepalese Prime Minister KP Sharma Oli inaugurated the summit at Hotel Soaltee Crowne Plaza here. In his inaugural speech, KP Sharma urged the member countries to fight against poverty, climate change and other challenges with united efforts. He also asked the member countries to invest in information and communication in a smart way for the benefit of the people of these countries. "Investment in youths and children is the investment for the future and property," he said. Terming trade is an engine for economic growth, the Bimstec chair said it is unfortunate that they trade little within the region. He put emphasis on enhancing trade among the member countries and removing all the barriers in this regard. "Connectivity is the key for robust economic growth in the region." The summit will mainly focus on connectivity, poverty alleviation, trade, investment, tourism, climate change and security challenges. Other areas of discussion include strengthening and making effective the Bimstec secretariat, establishing Bimstec development fund, Buddhist circuit, setting up of regional centres, adoption of Bimstec charter and rationalisation of priority areas. The summit will also witness the signing of a Memorandum of Understanding for the establishment of Bimstec Grid Interconnections, paving the way for trade in energy among the member states. The leaders are to adopt the 4th Bimstec Summit Declaration: ‘Towards a Peaceful, Prosperous and Sustainable Bay of Bengal Region’ on August 31 at the conclusion of the Summit. 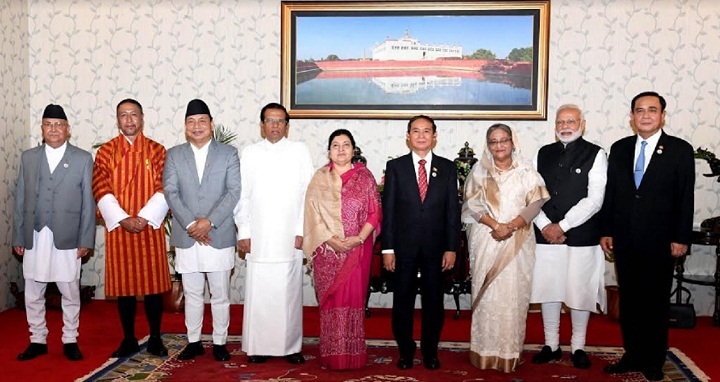 Following the conclusion of the two-day summit on Friday, the chairmanship of Bimstec will be handed over to Sri Lanka by the current chair Nepal.